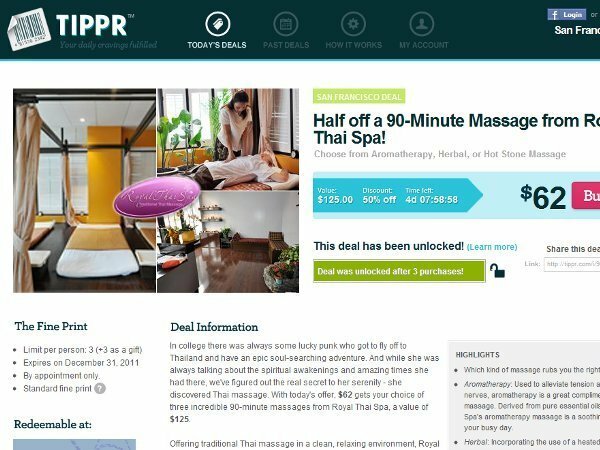 Today’s Groupon Clone is one that’s taking the group buying phenomenon to the next level: not only is it offering deals of 50% off or more, but as more people sign up, the price gets lower. Yes, like a fierce poker game, it is seeing Groupon’s collective buying platform and raising it with friend-referral. The company is called DealOn and it focuses on luxury deals, particularly among high-end restaurants and dining experiences. It’s aiming for a specific user base: women with cash to burn. Founded in 2009 and launched in New York in February 2010, the site operates in 16 markets and offers one new deal per day in each city. So how does it differ from Groupon? 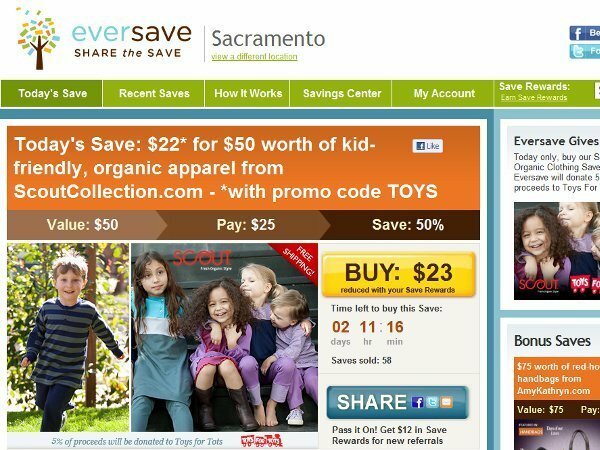 “Groupon’s snarky humor really appeals to younger consumers, but we’re aiming for a more mature crowd,” said DealOn CEO Rich Razgaitis in an interview with VatorNews. Razgaitis explained that while those younger consumers might bring in great revenue, they aren’t likely to build a relationship with the merchant or the product. What DealOn aims to do is help the merchant built a relationship with a reliable consumer that has a higher and more stable income. “If I’m a merchant, I would much rather get 20 doctors than 700 teenagers,” said Razgaitis. Of course, that’s what BloomSpot tried to do, too. 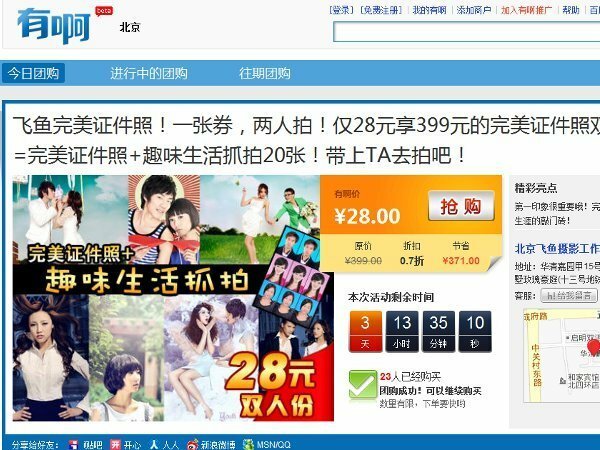 The flash sale site originally launched with an elegant plan to offer “features” (not deals—deals are for the proletariat) on high-end luxury items and travel packages in an effort to help merchants and wealthy consumers form long-term relationships. In recent months, however, BloomSpot has broadened its platform a bit to include less luxury-focused packages, like a $49 cooking for wilderness backpacking course. What makes DealOn think it can survive in the “luxury” space? And doesn’t it seem like if someone has the cash to burn on a luxury day spa, they wouldn’t really need a deal? 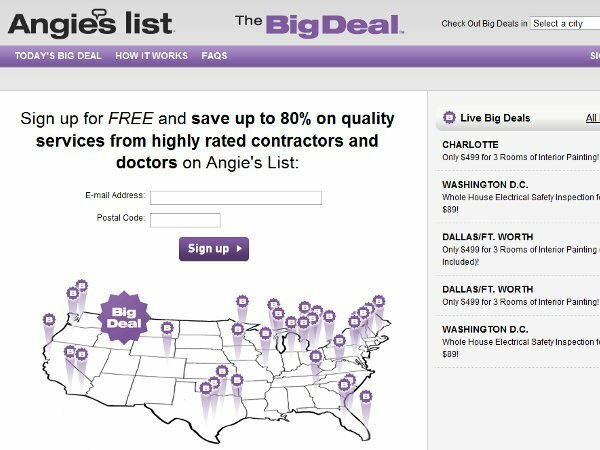 “We started where BloomSpot migrated,” said Razgaitis, who explained that while DealOn offers luxury deals, it aims for the middle market. So how do the deals work? This is the part I love. Let’s say the deal starts out at $25 for $50 worth of fine dining at a local restaurant. As more people sign onto the deal, the price drops. For example, today’s deal in Los Angeles is $30 for $60 worth of fare at the restaurant Taste, but enough people have purchased the deal to drop it to $29, with eight hours left to go. Whatever the price ends up being is the price that everyone gets, so if the price was $30 when you bought it, you’ll get it for $29 like everyone else when it ends. The price typically drops 5-10%, but has occasionally dropped as much as 15-18%, said Razgaitis. So how do merchants feel about that, considering they’re offering a pretty steep discount in the first place? 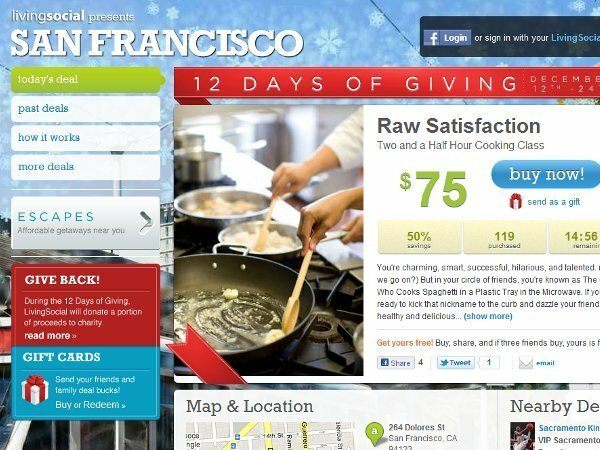 If DealOn takes the same kind of cut that Groupon does—50%—then what’s in it for the merchants? According to Razgaitis, the merchants get a fixed percentage of the deals, so if they get 50% of each deal purchased, they walk away with that price regardless of how low it drops. Additionally, the company is also working on a new technology called OfferEx, which would provide a single platform for deals from a wide range of deal suppliers, including other daily deal sites and media companies. 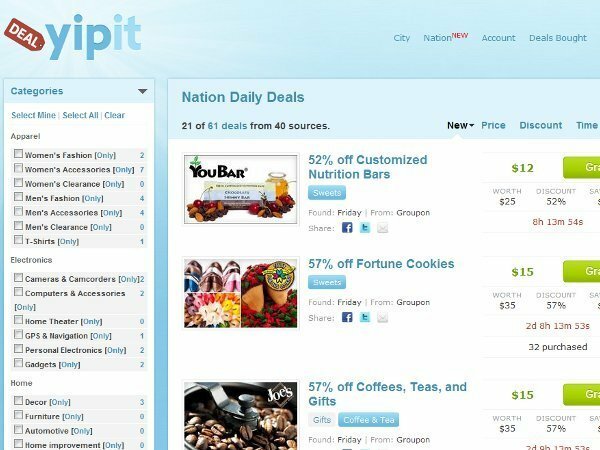 In a sense it is similar to Yipit (which saved me this Christmas) in that it would provide a wider range of different deals than traditional standalone sites like Groupon or LivingSocial, but users would be able to access and purchase deals from one unified platform instead of having to create separate user accounts for each site. 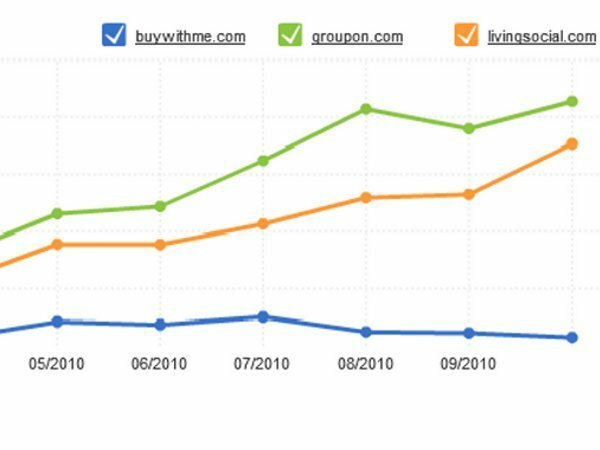 DealOn’s research found that 95% of consumers are not going to sign up with more than 3-5 group buying sites, so a single platform could spread the wealth much more efficiently. The company plans to expand to 20 markets by January.